At SAMCO, some of our most innovative solutions come in the form of the various resin technologies we offer. 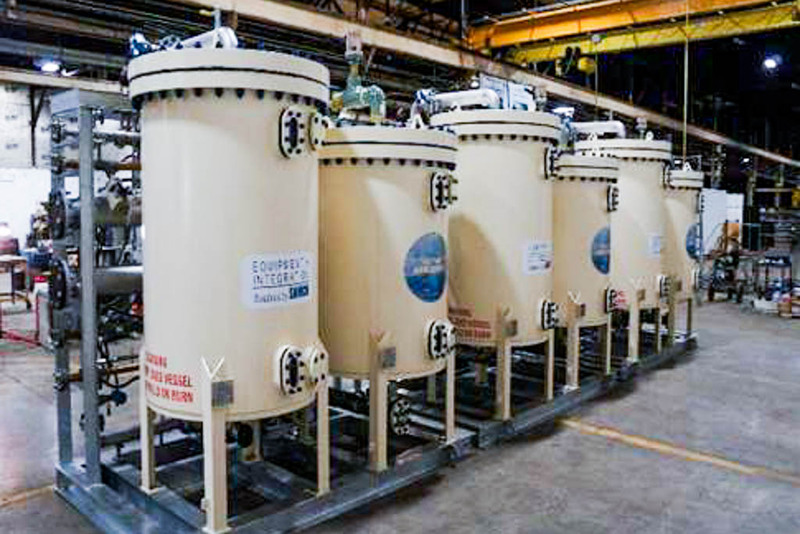 When it comes to selectively removing unwanted dissolved ions or anions from fluid streams, resins can be extremely effective in the removal of hardness, alkalinity, chloride, mercury, and organics, to name a few. We are also the Northeast licensed distributor of AMBERPACK™ and UPCORE™ technologies by The Dow Chemical Company (formerly Rohm and Haas). These are two of the most advanced ion exchange systems available today. We have hardness in our water. How can we remove it? Our boiler feedwater has too much silica. What is the best way to remove it? How do we reduce the TDS of our plant’s feedwater? We have a process stream with iron in it. How do we remove it? What is the best way to remove organics from our process feed stream? Is there a more efficient way to remove heavy metals from our wastewater? How can we reduce hardness in the brine stream to our Chlor-alkali plant? We have sulfates in our fracking injection water. How do we remove them? Contact us to see how SAMCO can help you lower cost and waste volume while increasing your product quality with our state-of-the-art specialty resins.